So glad I found this forum. I intend to soak up as much information that I can regarding making my own hotsauces. Big shout out to all the forum contributers who share their recipes and knowledge! I have my first plants going and they're about 10- 12 inches high and looking bright green and happy. 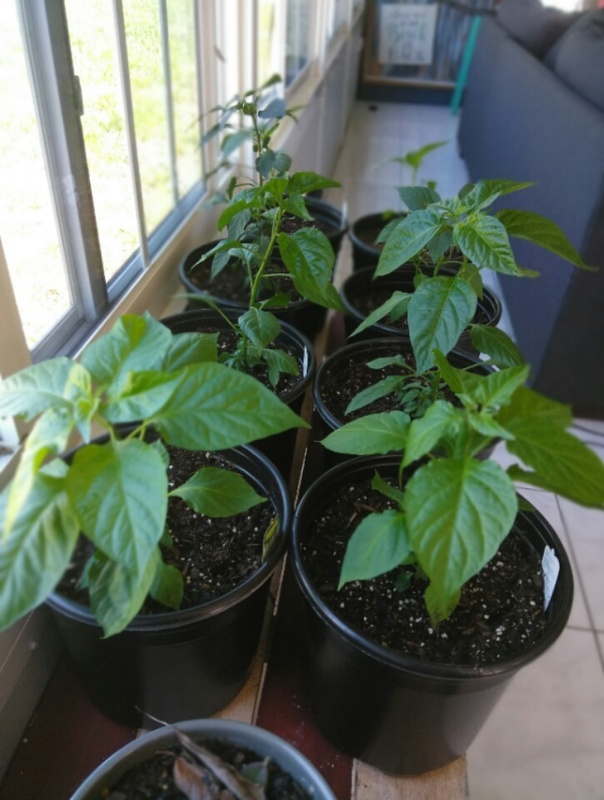 They recently got transferred into bigger pots and I was happy to see they didn't try to shock. I've been clipping off the flowers because they were already trying to start producing and I want them to mature more. Eventually they'll get transferred to their final homes in different places around the house. I intend to also source a couple reapers, scorpions, and maybe a couple chocolate habaneros just to mix it up! Edited by Swanbrewer, 15 April 2019 - 12:25 PM.